ABC Commercial has concluded a deal with Discovery Networks Asia-Pacific to bring THE FLYING WINEMAKER (13 x 30’ HD) to their Central/South Asian Territory feed, Australia and New Zealand and Pacific Rim feed, and India Territory feed. The series will premiere on TLC Channel, across the entire region. 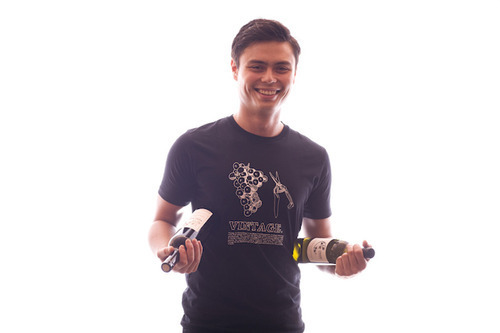 THE FLYING WINEMAKER is on a mission to change the way people perceive and consume wine across Asia. The lifestyle series follows Hong Kong-based master winemaker, Eddie McDougall, as he sets out to discover the best wine being produced across Asia, the industry’s fastest growing market. He searches for undiscovered varieties in his mission to make them accessible to the world. Eddie also explores Asian food markets, restaurants and community meeting places to match wines with exotic dishes and showcase how Asian meals can be enjoyed with wine varieties from around the globe. The series was launched by Eddie McDougall with a ROSÉ REVOLUTION wine tasting event at MIPTV 2013 at The Majestic on Monday 8 April.